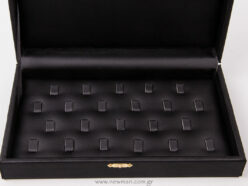 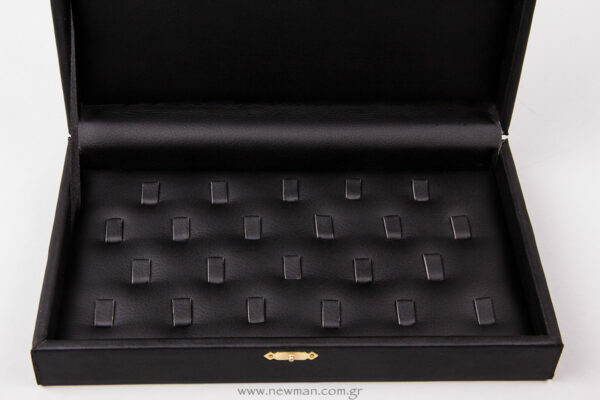 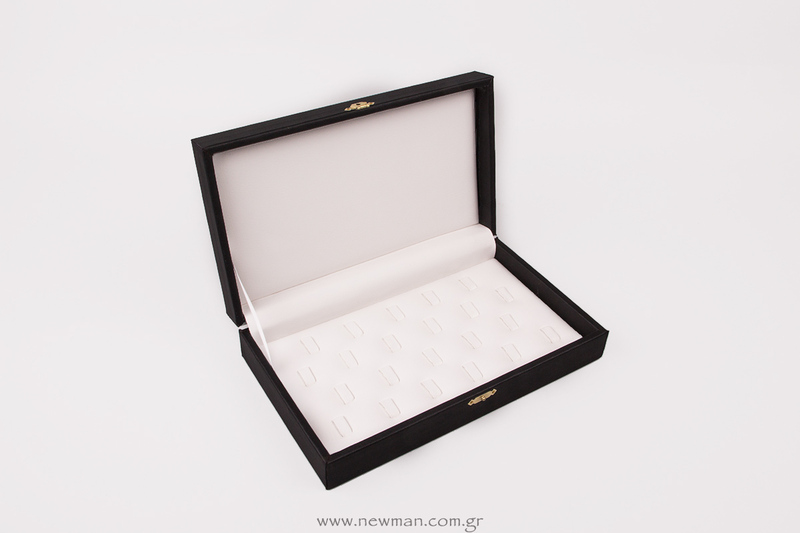 Professional Jewellery Case with 22 hooks for rings available in black with white imitation leather inside, or black with black imitation leather inside. For the closing of the case there is a metal clasp (hinge-clip). 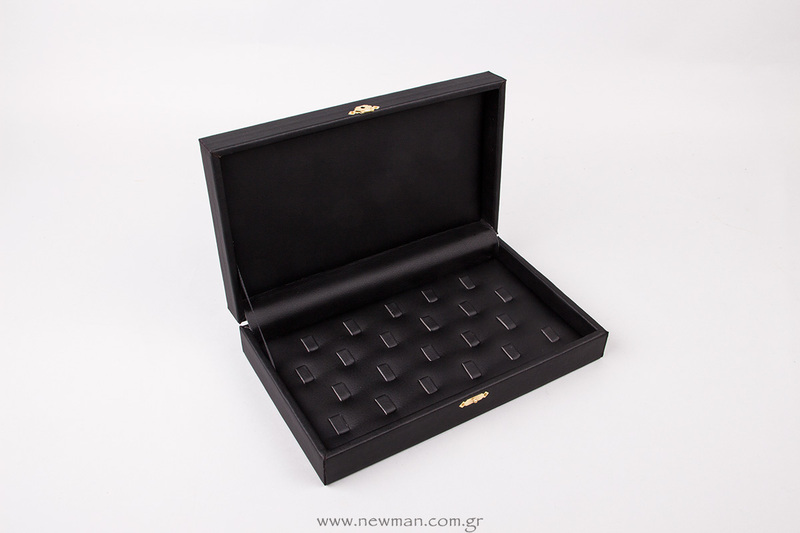 Professional Jewellery Case with 22 hooks for rings available in black with white imitation leather inside, or black with black imitation leather inside. 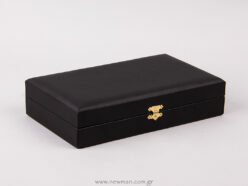 DCP02 Jewellery Box with a hook for Rings. 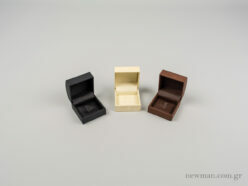 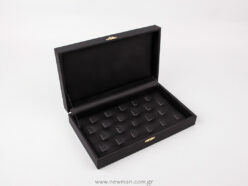 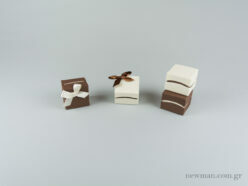 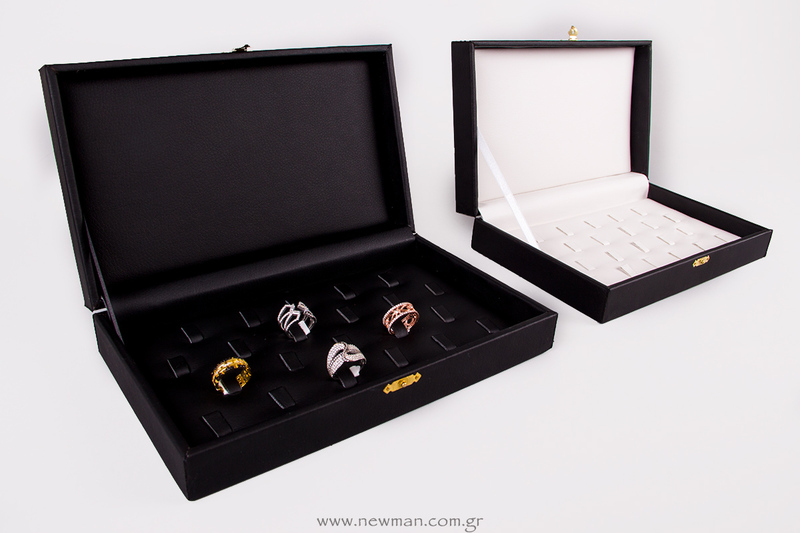 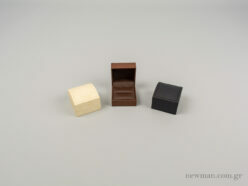 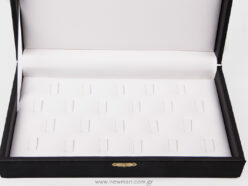 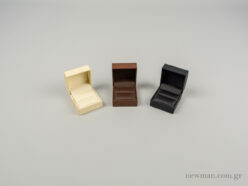 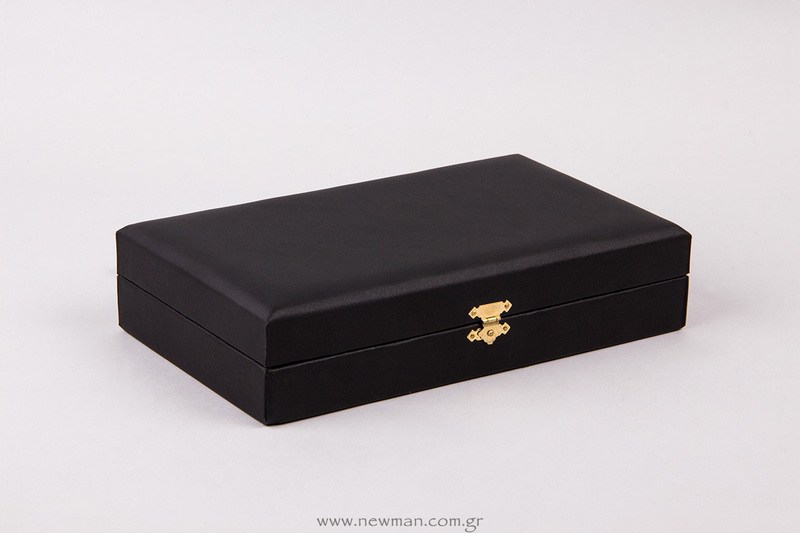 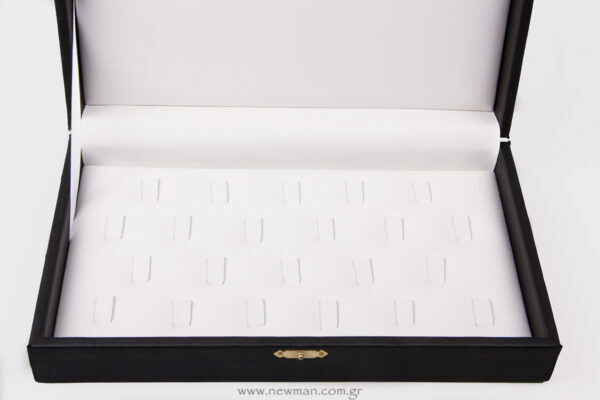 DCP02 Jewellery Box for Rings. 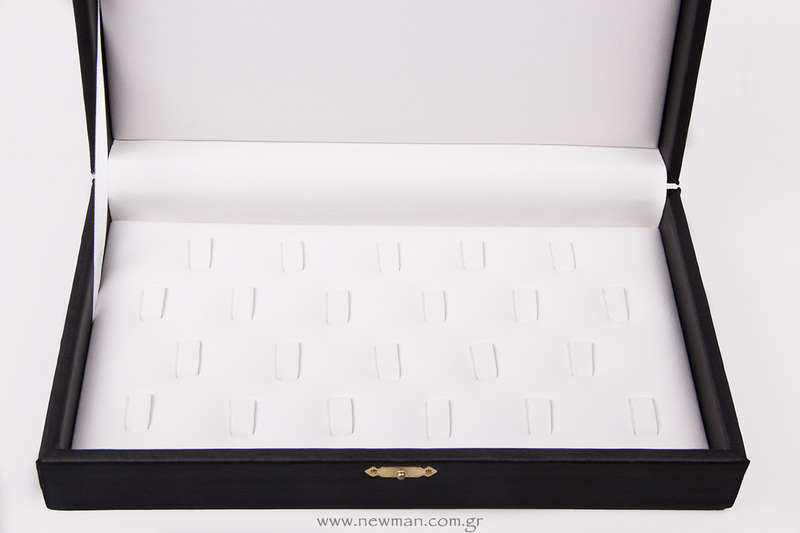 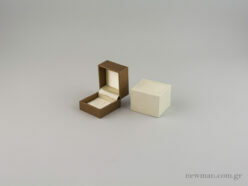 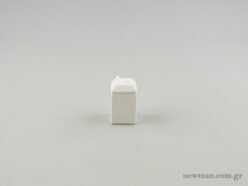 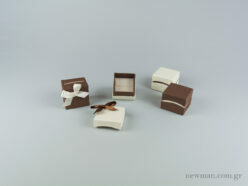 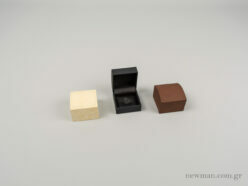 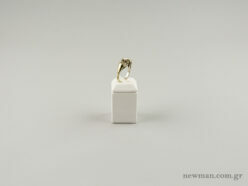 CTK0505 Jewellery Box for a Ring 47x52x39mm. 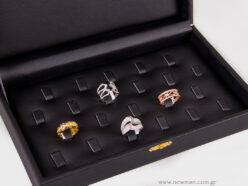 Jewellery Stand for Rings, P03 No3.